Spring brings dandelions, daffodils, and rum drinks. 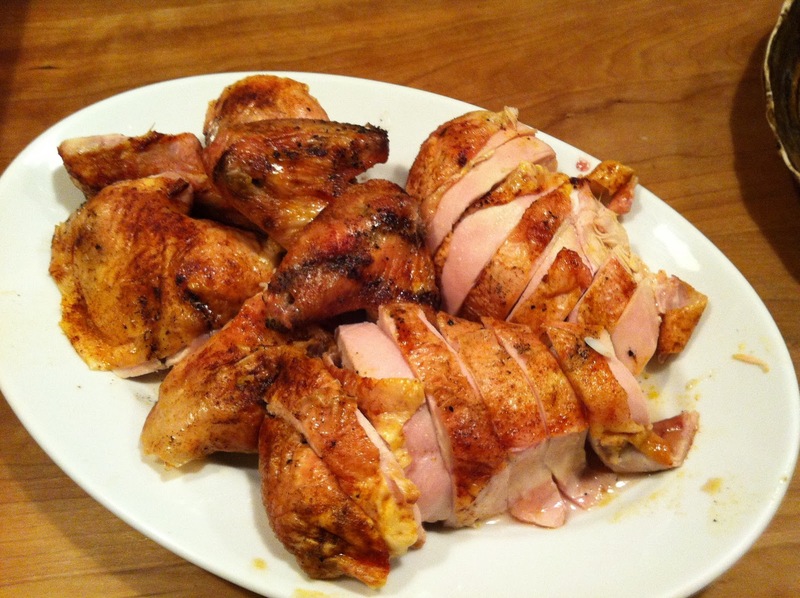 It also brings barbeque weather….so no need to turn on the oven to roast that chicken. While your barbeque is preheating on high, rinse, pat dry, and cut away the excess fat around the cavity of your chicken before seasoning with salt and pepper, salt and paprika, salt and garlic powder, or whatever mixture of spices you’re in the mood for. Set the chicken in the back of the grill, drumsticks pointing to the side, and immediately turn off all the burners except for the one furthest from your chicken, leave that one on medium before closing the lid. If you’re using a charcoal grill the briquettes should all be pushed to one side with your chicken on the other. If you have a thermostat built in best to keep it between 350 and 400. From here the hardest part is remembering to turn your bird a quarter turn every twenty minutes, I use a timer. In approximately an hour and twenty minutes you will have a very moist chicken with the crispiest skin, guaranteed. In the meantime, enjoy your rum drink. To carve, lop off the wings, legs, and thighs at the joints in that order. Then remove the breast whole by sliding your knife from the top between the breast meat and ribs carefully working your way down to separate and get as much meat off of the bone as possible. It’s a cinch to slice your breast meat thick or thin with the skin intact once it’s removed whole.